At this time of year, most people pause to reflect on the things that they’re thankful for. VCU Health at Baird Vascular Institute is no different – we have many things that we’re grateful for this season. We’re thankful for great patients who trust us for their care. Our business is built on patients who rely on our expertise to treat a wide variety of conditions and symptoms. We’re thankful for a committed staff. We’re blessed to have a staff that goes above and beyond their normal duties every day. They treat our patients like family with the utmost care and compassion. We’re thankful for new technologies. Interventional radiology is often on the forefront of new technologies that allow for treatments that are less invasive, less painful and heal more quickly. We’re thankful that we can bring those technologies to the people of Richmond and help keep our community healthy and active. We’re thankful for physicians who are exceptional at what they do. Our specialists approach the care and treatment of their patients with the utmost professionalism and commitment to quality care and treatment. We’re lucky to have a team who truly care about the success of our practice and the continued health and well-being of their patients. As we approach the oncoming holiday season, we’d like to say “Thank You” for your trust in VCU Health. Here’s to a happy, healthy holiday! Maintaining good health through the stressful holiday season. Let’s face it, even though the holidays are full of wonderful memories with family and friends, they are stressful. Adding gift shopping, cooking and travel to our already jam-packed lives can leave you feeling exhausted and stressed – not joyful and merry. We often take all this stress for granted, but too much can leave us feeling cranky, tired and trigger depression. The holiday season can be hard on many levels, but if you happen to also be dealing with health issues such as cancer, the holidays can indeed take a toll on your health as well. Before things get overwhelming, here are some tips to consider as we head into this busy, but wonderful time of year. Keep a calendar. Keep track of must-attend events and travel dates and accept/decline additional invites around those most important ones. Set priorities around things you want to achieve and be realistic with what’s possible. Remember it’s OK to say no. Once your calendar starts to fill up, it’s entirely acceptable to politely decline invitations. This also goes for volunteer requests, social events, church events and traveling. Carefully schedule your appointments, and listen to your body when it needs rest. Stay on budget. Sometimes we go all-out in the attempt to find the perfect gift. There is rarely a perfect gift. Maintain your budget and January’s stress will be greatly reduced. Ask for help. You don’t have to take it all on yourself. 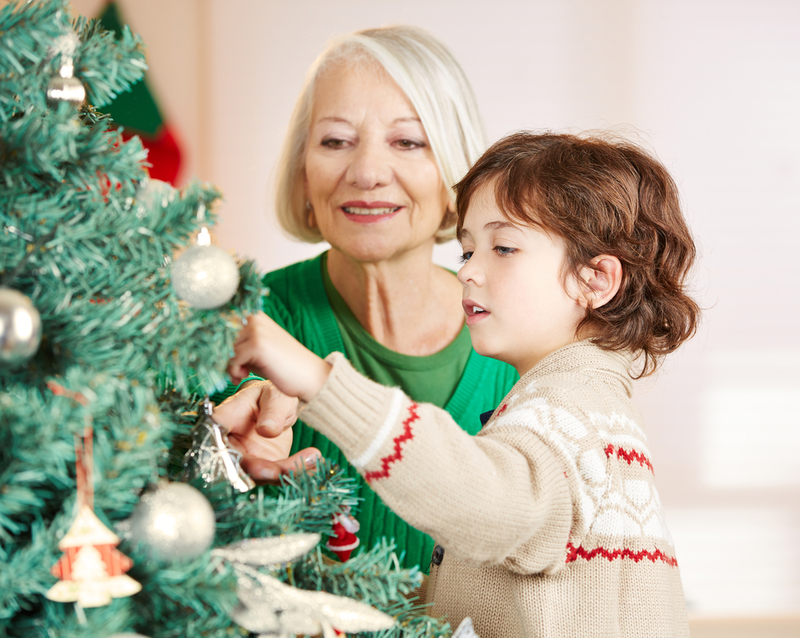 Children can wrap gifts, decorate cookies and help more around the house during this time of year. You could also combine a get-together with friends or family with a gift-wrapping night or a cookie swap. If you need help with things like decorating, ask friends to come over and help and offer an afternoon of catching up and cocoa and cookies when they’re finished. Watch what you eat and drink. The holidays are filled with delicious food and opportunities to over indulge. It’s certainly fine to enjoy yourself, but too much over indulgence can be bad for your waistline, and too much alcohol can make for misery the following day. Remember to take it easy, drink lots of water, and eat plenty of fruits and vegetables as an option during the meals. If you’re able to exercise, continue your exercise plan throughout the holiday season. Take time to enjoy the season. Take time for reflection and pause to remember loved ones near and far. Counting your blessings is one way to deflect all the pressure and stress the season brings. Enjoy those around you. What other services does VCU Health at Baird Vascular Institute offer besides port procedures? You can take advantage of our world-class medical services in a convenient neighborhood setting. Our interventional radiologists and vascular surgeons offer a multidisciplinary approach to vascular disease so that each patient receives a comprehensive vascular screening and a treatment tailored to his or her particular need. The institute affords patients easy access to the full array of expert vascular screening and treatment services offered by the VCU Health. Diagnosis and treatment for narrowing of arteries in the legs, arms and other areas of the body. At the VCU Health at Baird Vascular Institute, we have the latest in technology and techniques to diagnose and treat vascular disease. If we uncover signs of vascular disease, our experts can develop a custom treatment plan for you.